Congrats to the Spring 2017 MA Graduate! The Department of Art History congratulates the following Spring 2017 MA graduate! 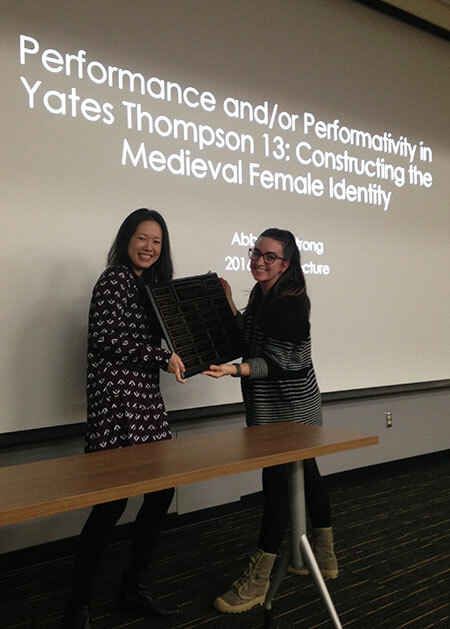 The 2016 Hoey Prize winner, Abby Armstrong, accepted the award at the reading of her paper, “Performance and/or Performativity in Yates Thompson 13: Constructing the Medieval Female Identity” on Tuesday, May 2, 2017. 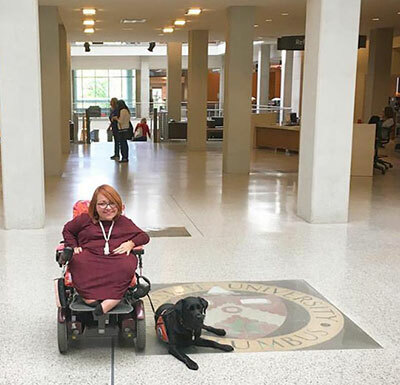 Graduate Student Abby Armstrong is writing her thesis on the Saint Elizabeth of Hungary Chapel in Laon Cathedral, in Laon, France, by the late medieval woman, Joan of Flanders, under the supervision of Associate Professor Richard Leson. 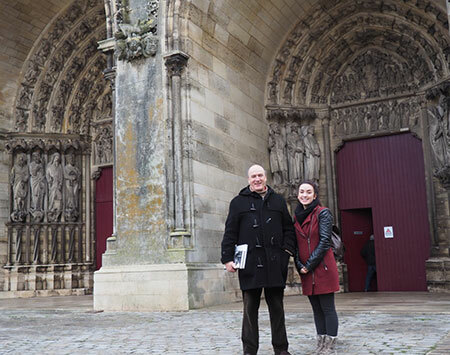 Thanks to the generous contribution of the Jeffrey R. Hayes Award, she traveled to France this past January to visit the chapel in Laon. Congrats to the Fall 2016 MA Graduates! The Department of Art History congratulates the following Fall 2016 MA graduates! 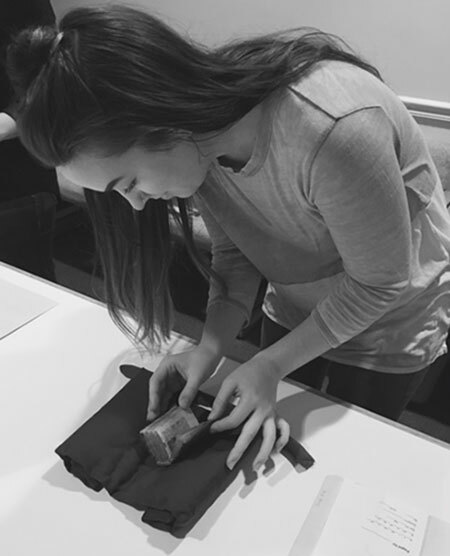 This semester, graduate student and teaching assistant, Abby Armstrong, has been attending a Newberry Center for Renaissance Studies ten-week Graduate seminar, entitled “Gender, Bodies, and the Body Politic in Medieval Europe”, at the Newberry Library in Chicago, IL. 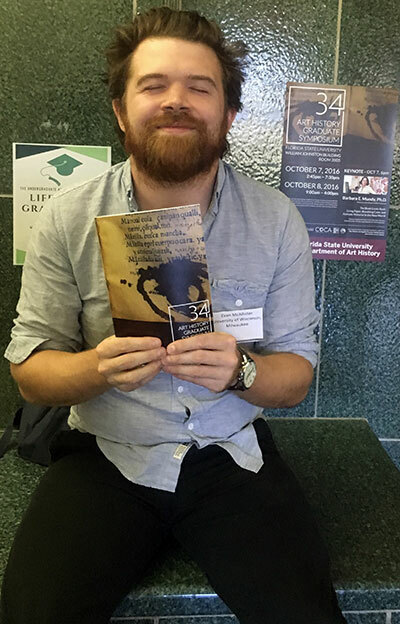 The Department of Art History was featured in the November 2016 edition of the College of Letters & Science In Focus monthly newsletter. 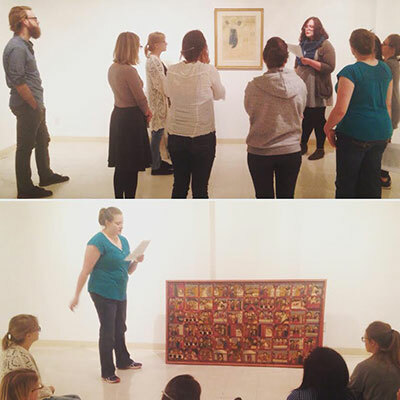 On Tuesday, October 11, Associate Professor Tanya Tiffany’s ARTHIST 700: Proseminar visited the UWM Art History Gallery for student presentations on objects from the UWM Art Collection. 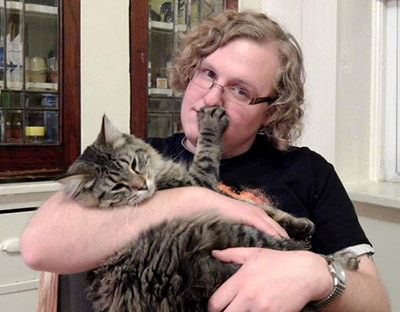 Graduate student Cameron Fontaine and his cat, Pippin, were featured in the UW-Milwaukee Special Collection post series “A Special Collections Caturday” on Saturday, October 15.